The jaguar (Panthera onca) is the largest cat in the Americas. Its muscular, compact frame is built for strength and stealth rather than extended pursuit. 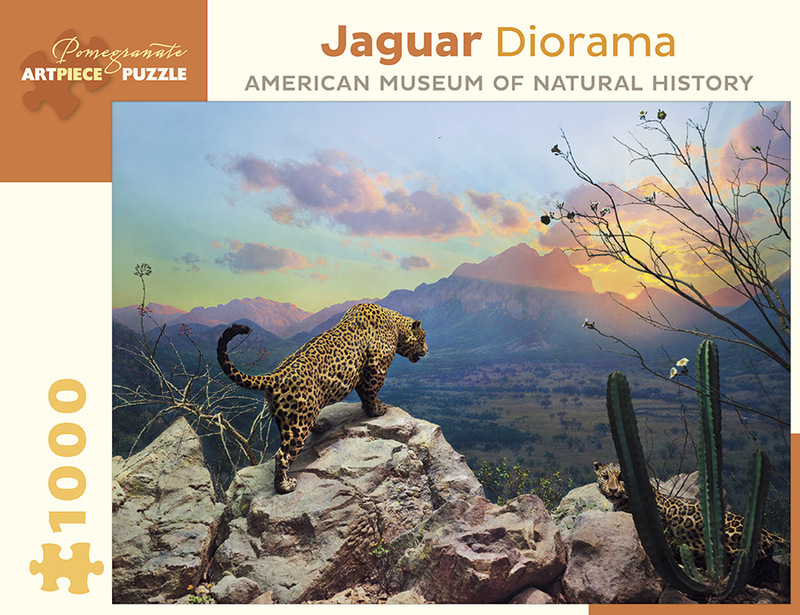 The jaguars in this diorama are seeking prey at dusk, as is typical for large predators. Poised on the eastern rim of a box canyon, a male jaguar studies a livestock corral in the shrubland below. Chiefly known as tropical rain forest animals, jaguars also tolerate drier warm climates. In this scene, near Guaymas, Sonora, Mexico, at the fringe of their modern range, jaguars live sparsely, limited by what water and prey they can find.